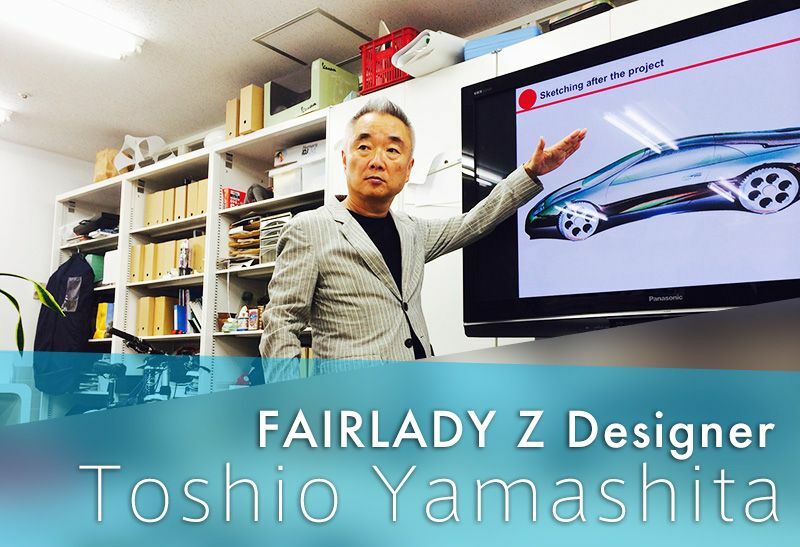 [Part 1] Asked Designer of Nissan 300ZX[Z32], Mr. Toshio Yamashita. On astonishing ways to attract ‘opportunity’. A famous men’s fashion magazine GQ, was first published in America in 1957, it is now published in 19 countries all around the world. 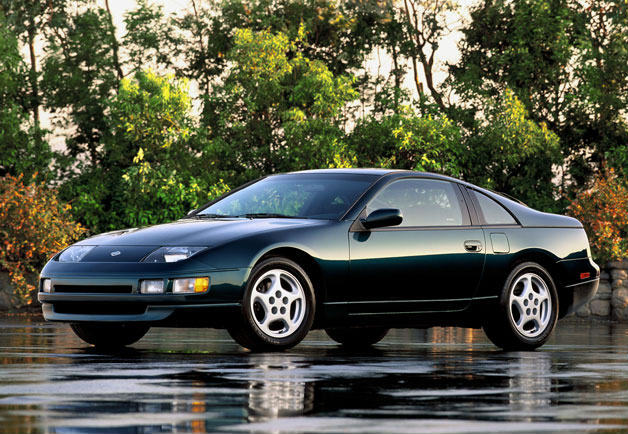 GQ announced [The Most Stylish Cars of the Past 50 Years] in 2010, and Nissan 300ZX was listed as one of them. I have been curious about who has designed a car that has been praised by the world 20 years since its debut. And of course how Nissan 300ZX was born. Through this interview, the man who created this miracle, Toshio Yamashita, talked about stories behind scenes. He was kind enough to tell me how he became a car designer even he was a high school graduate while all other his colleagues were university graduates. He also left a message for those who wanted to be a car designer in the future. Nissan 300ZX(1989-2000)= emerged as the fourth generation of Nissan Z, aimed to be a perfect sport car, for both it’s styling and performances. The catch phrase of the promotion was “Want to drive a Sport Car”. Due to the burst of Bubble Economy in 1990s and deteriorated Nissan financial situation obliged the company to produce this model for more than 10 years without changes. Fans of 300ZX is global, definitely more in overseas than in Japan. [Part 1] Interviewed Designer of Nissan 300 ZX [Z32], Mr. Toshio Yamashita. His astonishing ways to grab opportunities. Toshio Yamashita= Born in 1949, in Fukuoka, Japan. 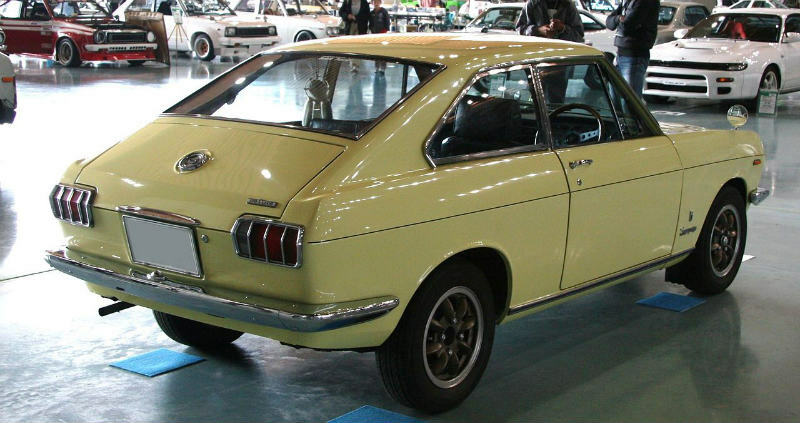 After graduated from Hakata Technical School in 1968, he joined Nissan Motor Co. as a designer. He started off his career with designing parts, then engaged development project of Nissan Violet Second Generation and worked on many projects since then. Other than Nissan 300ZX, he has been involved in developing cars like Silvia240SX, Skyline GT-R, InfinityG35, or Q45 those Nissan’s core models. In 2008, he became a professor in Tokyo Metropolitan University, and has been teaching many students about the beauty of car design through the class call transportation design. – Tell me what made you to decide car design as your profession? Actually I wanted to be an architect. I was born and raise in Fukuoka, where cars were not prevailing as it is now. Fukuoka was still local. So, I had no interest in cars. When I was registering for high school, I wrote Architecture as my first choice and Design as my second choice in the application form. When I enrolled in high school, I found out that I was permitted to enroll in the Design Department. I was so afraid that my Dad would scold me for not getting accepted in the architecture department. Anyway, I had to tell him. Instead of getting mad he told me “Ah, It was me who called the school to change you from Architecture to Design.” He then told me the reason that I was too small and would be looked down as an architect from those builders. He said I would be better to move on as a Designer. “How can My dad change my course without even asking me! ” But, I was actually laughing. I still remembered that I was relieved that my Dad did not scold me. So during high school, I learned how to draw pictures and build furniture. In my senior year in high school, a teacher announced “Nissan Motors is recruiting a designer, who wants to try out?” During those days, there weren’t as many design schools or design majors in the universities as nowadays, that is why Nissan had come looking for potential employees in technical high schools. In fact 10 years from my employment at Nissan, they ceased hiring high school graduates. In the previous four years, only one student has gotten accepted into Nissan, and because of that, no one raised their hand. After a while, me and another classmate, let’s call him Mr. S, was called by our teacher. We were asked to try out the interview for Nissan. Mr. S was the top in the class while I was the 6th or 7th in class. But, S’s parents were against the idea of S moving into the Metropolitan Area instead his hometown in Kyushu. As for me, even though I decided to take the interview, I didn’t know how to handle or prepare for the interview as I couldn’t get any advice from my teacher whose specialty was sculpture. I did not have any special interests in cars either. Anyway, I created a portfolio based on my design for pots and rice cookers. One day before the interview, we were all gathered in a place called Nissan Hall. I recall the portfolio that I brought along was so amateur compared to others. Everyone else’s portfolio were nicely summarized on a big sized panel. Except for me. I had my portfolio on a normal drawing paper and it was folded small enough to carry in my arm. I found my design level was much poorer compared with the others and really thought of escaping in the middle of night. I was confident that I would not pass the interview process, but luckily I got the job. In those days, there was a personality judgment test, sketching test, and then the interview. After I was employed, I thought that I should at least pay attention to cars since I would be working in a automobile company. I went to see the the first generation SUNNY. For the first time in my life, I thought that car design was cool. The rear view of the SUNNY, was especially thrilling. Till then, I had never paid attention to car design. As my interest started to grow, I collected many catalogs of American Cars. Among them were, Dodge Charger (B-body), Mustang, oh and Pininfarina S.p.A.’s Ferrari. They were all so exciting designs and for the first time I felt strongly wanting to design something as good as them. -Tell me what the first task in Nissan was. I started my career in Nissan as soon as I graduated from high school. I was only given to design small parts. Full-size design was done by designers who graduated from university. That’s why the high school graduate designers left their jobs. I was told by a senior designer that I would not be given a chance to design nothing other than small parts and suggested me that I should quit as well. I was able to sketch really fast but the quality of my car sketches were really poor. My perspective was not accurate at all, not to mention the method for using pastels. I had only touched a pastel, but never used it until I joined the company. No one ever taught me how to use it. “Why did the management hire Yamashita?,” “Who hired Yamashita?,” criticisms escalated. In order to prove them wrong, I always practiced my sketch after work hours back at the company’s dormitory. Of course, the chances of being able to design cars other than small parts were uncertain, but one thing I knew was, if I couldn’t be better, there would not even be a slight chance for me at all. I was cornered, felt pretty desperate. “Tire position is wrong! This is not where you draw tires,” Half amazed, my senior who shared the same room gave me advice whenever I showed him my sketch. Even though I was told to draw the tire slightly to the right (or left), I still couldn’t properly draw the balance between tires whenever I started a new sketch. I repeatedly made similar mistakes. Then I had to draw the sketch over and over again. My boss kindly taught me sketching in ABCs, covering perspective theory to line drawings. I took advantage of stealing skills from the designers around me by peeping their sketches. That is how I made improvement. Without those people’s help, I don’t think I was able to make progress. I have been really grateful to my seniors and bosses as well. 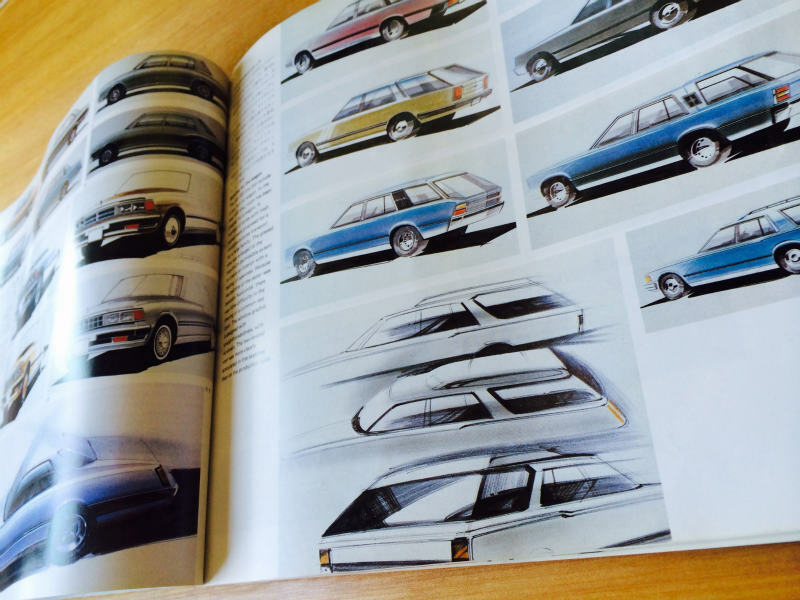 Another thing I did was a lot of research by reading numerous car styling magazine. – How did you make design something other than parts? Actually that is something I can never forget, and I used a trick, if not say trick I used my brain. As expected, I had been given only parts design. One day, I was asked to design a radiator grille, it was a car part as usual, but instead of doing my job, I was occupied with ideas on how to grab an opportunity. That was when I saw the idea sketch by the project team in the same department for the Second Generation Silvia. Designers hang their sketches on the wall. One side of wall was filled with sketches. I said to myself that this was the chance that I had been waiting for! I wasn’t confident about my sketching, but I was so eager to get out of my comfortable routine life, and wanted to show my sketch to everyone in the project team. During working hours, I had to design a radiator grille. After work, at home, I drew my proposal sketches. One morning, I got to the office early and hung 10 sketches on the wall. –So you did that without permission? Yes. An Opportunity would not just fall from the sky. That day, I was paying attention to the sketch review meeting while working on my radiator grille design. The supervisor was choosing one of the sketch from the wall and then asked “Who drew this?” No one in the project team raised their hands. Out of my expectation, 3 out of my 10 sketches were nominated. I then raised my hand and said “I am the one who drew those.” Everyone was so surprised! So, I was invited to participate in the evaluation meeting with no objection and was asked to draw a 1/5 size sketch. Of course, my name wasn’t published and no credit was given to me. My sketch was also published in Car Styling Magazine. Even so, I was so excited to see my sketch being published. That triggered people praising my drawing and I was able to get acknowledged by the people around me too. In addition to that, the small parts that I was responsible for had gained good reputation from others as well. -That is something extraordinary. I mean most people wouldn’t have thought of that, even if they wanted to do that, they did not have guts to do that. I have been keeping that in mind, to do what others don’t. I even colored the background of my sketch red, just to make it more noticeable. Well, when I had an idea come up for something, I kept turning it in action. Those university graduates were always given at least one project on hand. For high school graduates like me, my proposals had to be far better than others if I ever wanted my design to be chosen. I got married 5 years after working in the company. When I was about to go on my honeymoon trip, my supervisor told me “After your honeymoon, I want you to try out for the project for either the A10 model of the Violet, or a Show Car”. I wasn’t the main person in charge of the Violet as I felt there was a high chance that my proposal would be kicked out by the project team and was too risky. So I chose to handle the Show Car project instead. It was a great experience to design a full size show car all by myself. After the Show Car project, I found that the Violet project wasn’t making any progress. I thought I should put my hands on the project too and submitted my sketch and model, and as a result, it became chosen as a design to go. I must confess it wasn’t only me who should be awarded. I was so lucky to get support by an outstanding clay modeler, Sozaburo Otsuka. “I will assist you to achieve this project” he told me. “Just tell me your concept and I will make the clay.” He was like that. We worked together and completely supported each other. He was really an outstanding clay modeler, however, his Japanese was a mess. He once said an aluminum steel-plate, instead of aluminum plate. Nonetheless, I cannot express enough appreciation to him. If it were not for him, I wouldn’t have to be where I am now. That was when I was about 25 years old. Most designers around me were over age 30. So, no one ever took me seriously even when I outstood a senior designer in sketches and models. The senior designers were still chosen to handle projects for production development. Then, I was back to parts design. So, that design proposal gradually deviated from my original and gradually went to that of his. My boss couldn’t bear to see that, so he demoted the senior designer off the project and gave it back to me. And because of that change, I only had one and a half months to complete my design for the project while it usually took 2 to 3 month to complete a design. I don’t think I am 100% satisfied with my work. … Until this day, I still would like to re-design Violet if i had been given the chance again. But, I still remember vividly how I felt when Violet introduced into the market. I was fascinated to see my car on the road. I said to myself “Being a Designer is such a great job.” After that, everything went smoothly for me. I was able to experience many projects. -I heard that you also designed Cedric 430 as well? After that, I was assigned to design a 4 door hardtop. If you look closely, there is a sharp fold in the rear window. This idea came up while I was working on the show car, which was my first project as a designer. I knew that by folding a heat wire, I was able to make a nice curve. I used that technology. I always remind myself to create my own style in my design and I worked hard to create my own style. This rear window design for Cedric was awarded by our CEO. There is 15 pages in 28th issue of Car Styling featuring and commentary, with the title of [Nissan Cedric/Gloria 5th generation in excellent condition]. Photo above shows the sketch wagon drew by Yamashita. [Part 2] Interviewed Designer of Nissan 300 ZX [Z32], Mr. Toshio Yamashita. His astonishing ways to grab opportunities. By posting his sketch without permission of group manager, Yamashita has pioneered the road by himself. During the interview, I was so shocked. From all 10 car designers I had interviewed so far, I found out that, all of them did take special actions which that triggered to become a turning point. If you have a clear vision on what you want to do, think seriously how to accomplish it then bring it into action. Opportunity will only knock on the door for those who has that state of mind. After handling projects of various type of cars starting from Nissan 300ZX to Skyline R34 and Silvia 240SX, Yamashita was assigned to the United States. The story will be continued to Part 2 of the interview. Part 2 included Yamashita sent his message to all future car designers.